The ABB Formula E Championship returns to the city of Santiago de Chile in South America for the third round of Season 5. Although this is the second consecutive year that the Antofagasta Minerals Santiago E-Prix features in the all-electric series calendar, a completely new layout is set to surpass last year’s race, an ambitious task following the innovation essence of Formula E.
Almost a year ago, the E-Prix held on Chilean soil saw how Jean-Eric Vergne took the lead of the championship with a maiden victory, which also resulted in a 1-2 podium for the Teechetah team, the first ever 1-2 for the series. But the Gen2 car is ready to bring a whole new experience to the O’Higgins Park, sited right at the city center and, as it seems, the Chilean fans can’t wait for all the action on Saturday. The Santiago E-Prix is already sold out. He is one of the most competitive drivers in the grid. His aggressive driving style is already a trademark one that has got him to be one of the finest drivers in the world. We are talking about Argentinian driver, Jose Maria ‘Pechito’ Lopez. But his career faced him with challenging moments like when he went from racing in GP2 from seeing his almost certain seat in Formula 1 vanished back in 2010. 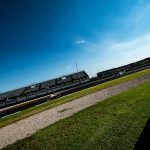 Perseverance and resilience paid off, and that same year he came back to Argentina to race in TC2000 achieving several victories in the following years. In 2014 the official Citroën Team hired him to race in the World Touring Car Champion (WTCC) and the rest is history. 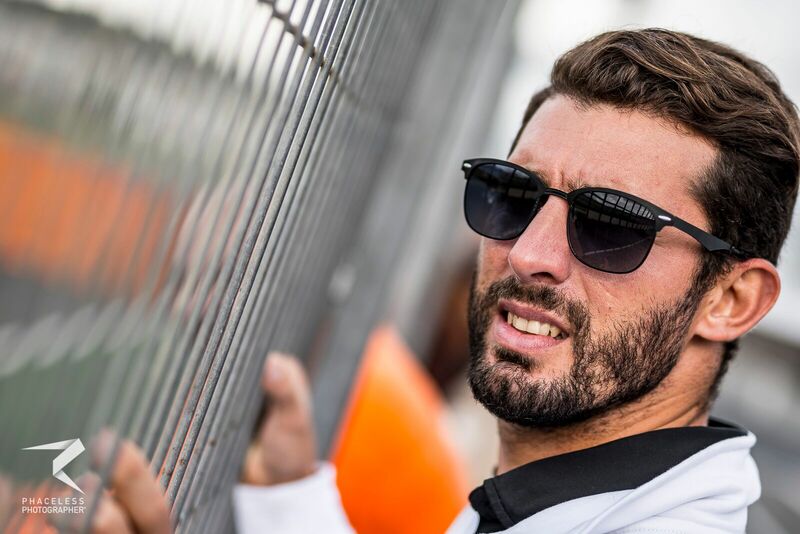 Season 5 is his third in the single-seater series, the three-time World Touring Car Champion aims for much more in Formula E.
The start of the 2018/19 season saw Lopez, 35, sitting an exceptional second place on the grid after a thrilling qualifying session in the first-ever Ad Diriyah E-Prix. During the race and with twelve minutes remaining for the cars to reach the finish line, the Geox Dragon Racing driver suffered a DNF. 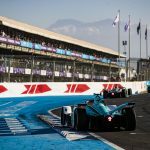 Two weeks ago, at the Marrakesh E-Prix, the improvement from the first race was notorious with Lopez delivering a strong performance, finishing the race 11th. The Argentinian accomplished the target of finishing the race avoiding the incidents that occurred in the first corner and got extremely close to scoring his first points. We had the opportunity to interview Lopez right before the Santiago E-Prix, where last year he got his second FanBoost. These are his thoughts on the new rules, the new car, and his new teammate. ERN: This is your second season with Geox Dragon Racing, what balance do you make after having started your third season in the series? ERN: What are your thoughts on the evolution from the Gen1 car to the Gen2? ERN: How is your relationship with your new teammate Max Günther? ERN: Formula E is in a non-stop path, back in 2016 you decided to to take your chances within the all-electric racing series with Virgin Racing Formula E Team. How do you evaluate your progress as a driver ever since? ERN: What are your thoughts on the new rules established this season and what is your main target in the short term for the Santiago E-Prix, and in the long term, by the end of the season? Fasten your seatbelts, this weekend promises to deliver another thrilling, unpredictable E-Prix. – The O’Higgins Park circuit spans into 2.4 km (1.49 miles) with a total of 14 turns. – The Attack Mode is placed in Sector 3 reminiscing the Marrakesh E-Prix. 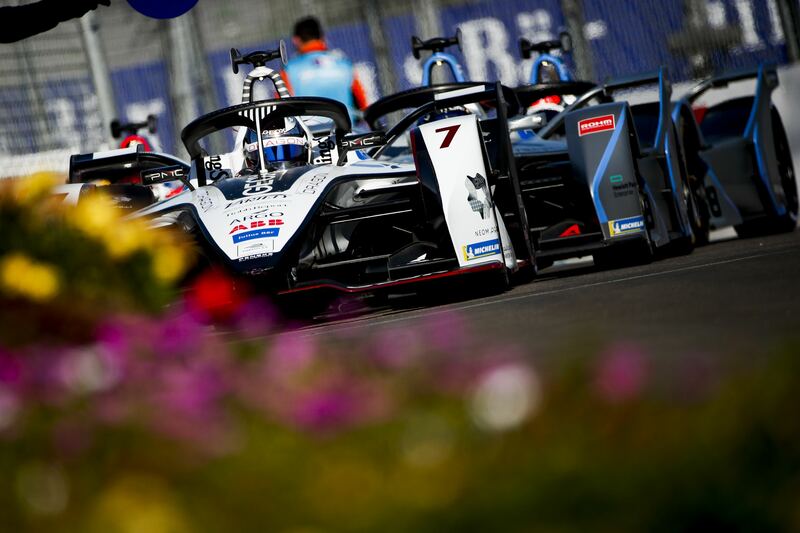 – Antofagasta Minerals is also a official partner to ABB Formula E.
– A new led technology lights the surrounding of the O’Higgins Park thanks to the help provided by Formula E.
– The first E-Prix in Chile has been financed with public money. On this occasion, it has been financed by private capitals. « A Formula E/1 merger – would it work out?